Home Android Blackberry Blackberry DTEK50 Qualcomm Snapdragon Smartphones Widget City Blackberry is still in the game with the Blackberry DTEK50! Blackberry is still in the game with the Blackberry DTEK50! 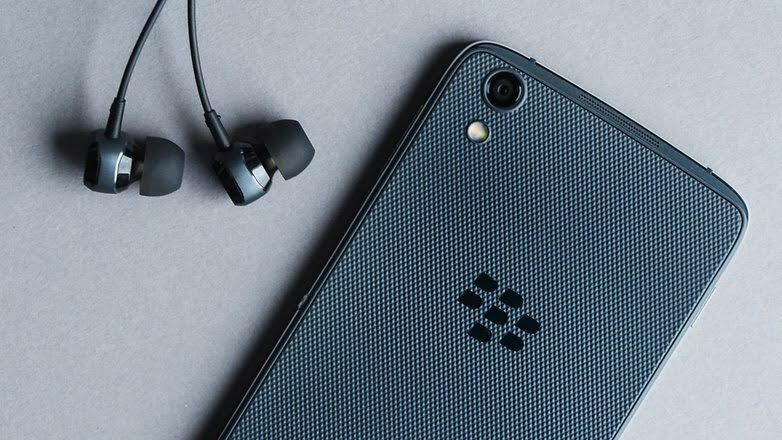 We all know that Blackberry doesn’t produce something new lately but they proved that they’re still in the smartphone game with their solid build quality and reasonable price smartphone, the Blackberry DTEK50. Blackberry DTEK50 made a right spot in the smartphone game and possibly will be one of the talk of the town because of it’s improved security, faster performance, longer battery life and superior image quality at a very reasonable price. Speaking of a mid-range smartphone, Surprise! the DTEK50 has a 5.2-inch LCD that runs in 1080p which makes plenty of crisp text and visuals. The screen is covered with a scratch-resistant glass are laminated together so viewing angles are great. It has no physical keyboard to type in your texts which is very rare on blackberry devices, sits below the volume rocker is the convenience key which you can use to set launch apps or perform specific actions like calling and turning on the flashlight. DTEK50 not only sits as a well-known security brand but it also gives you convenience and crystal clear screen. Loaded internally is the, 3GB RAM for multitasking capabilities and a Qualcomm Snapdragon 617 for maintaining its top speed performance. Love photography? Yes! It has a 13MP rear and an 8MP front camera with flash flipside is it can’t cope up that much with the low-light situation but it performs really great in daylight. If you like everything in private then DTEK50 is for you it has a security built in from the ground up, with full data encryption and Handy DTEK app pre-installed to give you complete control over privacy. The storage is quite small (16gb) but take note that this is a mid-range phone that can be expanded up to 2TB of data storage, Now that’s something! A light smartphone without the feeling of cheap protects the private details of your life from being hacked. Security before everything! Still have some questions about Blackberry DTEK50? Then visit Widget City Hub on Facebook or send them a message to know more. Get it first before anyone else! Widget City is offering the Blackberry DTEK50 at a competitive price of P13,500!